In a very rudimentary definition, which does not incorporate the emotional and physical horrors, slavery of the 16th century was based in part on obtaining the economic production power of a human for free. With the decline and ultimate end of this human and economic exploitation in the United States in the 1800’s, unscrupulous businessmen sought other means of economic exploitation in order to subjugate human production for economic benefit. One of these was the “Tommy” or “Truck” system, which was immortalized in the song “Sixteen Tons” about the life of a coal miner, first recorded in 1946 by singer Merle Travis. You may remember some of the lyrics, like: “another day older and deeper in debt” and “I owe my soul to the company store”, referencing the scrip system used by coal mining companies. Instead of being paid cash, workers were paid in non-transferable credit vouchers which they could exchange for goods sold at the company store. The system undermined workers being able to save cash. The system was ultimately put to an end in the mines with the growth of unions. Both examples have something in common, which is the control of the individuals earning power to harness it to the economic benefit of the controller. And today this unscrupulous goal continues with high-interest money lenders like payday lenders, buy-here-pay-here car sales, and compounding, high-interest charging credit card companies. They seek to enslave your earning power. 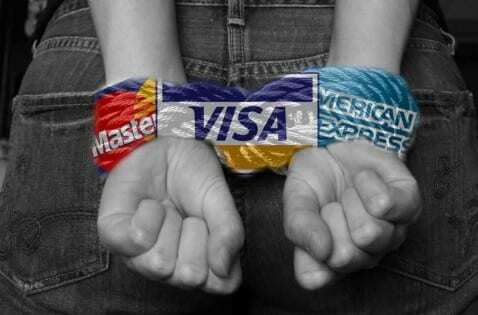 Commit to becoming debt free.